Welcome to the sixth and final installment in my Life Ionizers 2019 MXL Series reviews. Today, I share with you my comprehensive Life Ionizer MXL-13 Alkaline Water Ionizer w/ Molecular Hydrogen Machine review. The Next Generation MXL-13 is available in both countertop and under counter models. Thus far, I’ve worked my way all the way up from MXL-5 to MXL-13. I had previously reviewed the MXL-15 before starting with the MXL-5 because I was so impressed by the 15 that I decided to write reviews for the entire MXL series. At the bottom of this review, you’ll find links to my reviews for the other models in the MXL lineup. I also plan to create an MXL comparison table and article to make it easier for everyone to choose which model is best and within budget. Be sure to check back later for the ionizer comparison table. Now, let’s examine the features of the MXL-13 and what they all mean. Is Life Ionizers a trustworthy company? Below is a closer look at the MXL series faucet that comes with the under counter model. The faucet allows you to control your water settings right from your sink without having to reach down below your sink to push any buttons on your machine. When you order your new MXL-13 Ionizer, Life will use your home address to pull your local EPA water report. Each year, your local water provider must send its annual water report to the EPA. Life uses this report to customize your filters. They do this to ensure you’re getting the best filter to remove the contaminants that are most common in your area. Life also provides third-party lab test results to show just how powerful their filters truly are. The results show that all contaminants were reduced to undetectable levels. Click here to view the online report. The average filter life of your dual-filter set is 6 months. For those of you with hard water, Life recommends installing a pre-filter to extend the filter life of the ionizer filters and avoid any mineral buildup on your electrode plates. This is commonplace for all ionizers, and I also recommend it. Click here to check out an inexpensive whole house filter that will get the job done. You can also consider a three-stage prefilter system that will undoubtedly get the job done and more. By taking this extra step, you guarantee a better-tasting and healthier end product – your alkaline ionized water. Do you have an exisiting reverse osmosis filtration system? Reverse osmosis water filtration does such a good job of filtering your water that it strips away all the minerals. The problem is your water needs to have some minerals in it to undergo the ionization process. If you have an existing RO system, the best way to use it in conjunction with your water ionizer is to add an inline remineralization cartridge to your RO system. This way, once the water reaches your ionizer, it’s filtered with minerals. When you order your new MXL-13, you have a choice between the countertop and under counter versions of the ionizer. The under counter model comes with the Life MXL faucet and gives you the ability to house your machine below your sink to save counter space. Either way, you need to account for the footprint of the machine to ensure you have enough space on your counter or in the cupboard below your sink. The footprint of the machine measures 12.5″ Width x 6.25″ Depth. Both installations require only basic tools unless you need to cut a hole to pass your faucet through for the under counter version. I bet a lot of you have been reviewing different ionizers to decide which company makes the best ionizers. A lot of you may have been influenced by Kangen water marketing and led to believe that only they make quality ionizers. While I do think Enagic Kangen makes a legit ionizer, it’s untrue that they’re the only people who make a quality one. I’ve researched ionizers for a long time, and the top three companies selling ionizers for a competitive price are AlkaViva, Tyent USA, and Life Ionizers. These three companies are all selling quality ionizers for $1000s less than a Kangen machine. Here’s what I’ve found through my research. The best ionizers in the world are manufactured in South Korea and Japan. Only in these two countries do they certify water ionizers as medical devices. Life Ionizers manufactures its machines in an ISO-certified facility in South Korea. This is good news. Life Ionizers has been in business since 1996 and is one of the alkaline water pioneers in the United States. In my opinion, yes, they’re a legit company. Are they perfect? No, but what company is? You can also click here to read hundreds of positive reviews written by verified Life Ionizers customers on Trustpilot. They currently have 85% Excellent reviews out of 340 total reviews. 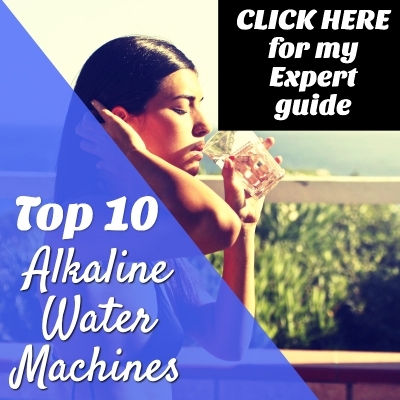 I’ve personally been drinking alkaline ionized water for years, and it helped me overcome chronic fatigue and a nasty case of heartburn. I love reading how it’s helped others heal because it reinforces the reason why I created this site in the first place. Alkaline ionized water is only beginning to make waves (please excuse the corny pun) in the United States, and it’s not going anywhere. I lived in Asia for years, and every convenience store carries alkaline ionized water because they’ve known about the amazing health benefits long before the Western world. A gentleman in Hawaii wrote in a recent review that his family has noticed increased energy levels and no more drinking water that smells like chlorine. He also reported that no one in his family caught the flu this season. A husband said he and his wife feel better overall, and the water is the “best tasting water around.” He added that his two big dogs love it too and refuse to drink tap water. I’ve seen many similar reports written by pet owners, especially people with cats. One wife reported she and her husband sleep better at night and feel better overall. Another gentleman reported less brain fog, better sleep, fewer pains, and more energy as just a few of the health benefits he’s experienced. Well, it’s been one heck of a run reviewing the entire MXL series from the MXL-5 all the way up through the MXL-15. Overall, I’m impressed by the Next Generation 2019 MXL series and Life Ionizers as a company. After reviewing the MXL-15 first, I was so impressed that I decided to review each of Life’s new ionizers to provide you with all the information you need about Life as a company and their ionizers before buying one. Overall, I give the MXL-13 a big thumbs up 👍. Buy this ionizer with confidence that you’re putting your money into a top-notch water ionizer and a trustworthy company with reliable customer service. And while I do think Enagic Kangen makes a solid water ionizer, I can’t justify spending $1000s more for their ionizers. The most critical buying factor is to ensure your buying high-quality platinum-coated titanium plates, and Life Ionizers uses them in all their machines. Second, it’s best to first consider ionizers manufactured in South Korea or Japan, and Life Ionizers does that. I also recommend checking out Tyent’s UCE-11 and AlkaViva’s Vesta Ionizer.